In an age where technology is moving faster than ever before, it is critical that OEMs work with a partner that excels at innovation. Benchmark has spent the past 10 years investing in key technology building blocks to ensure that it has the capabilities to service the products of tomorrow. Benchmark services the world’s leading OEMs with Design Centers of Innovation throughout North America, Asia and Europe, covering multiple high-technology sectors including medical, aerospace and defense, industrial, telecommunications, IoT and more. 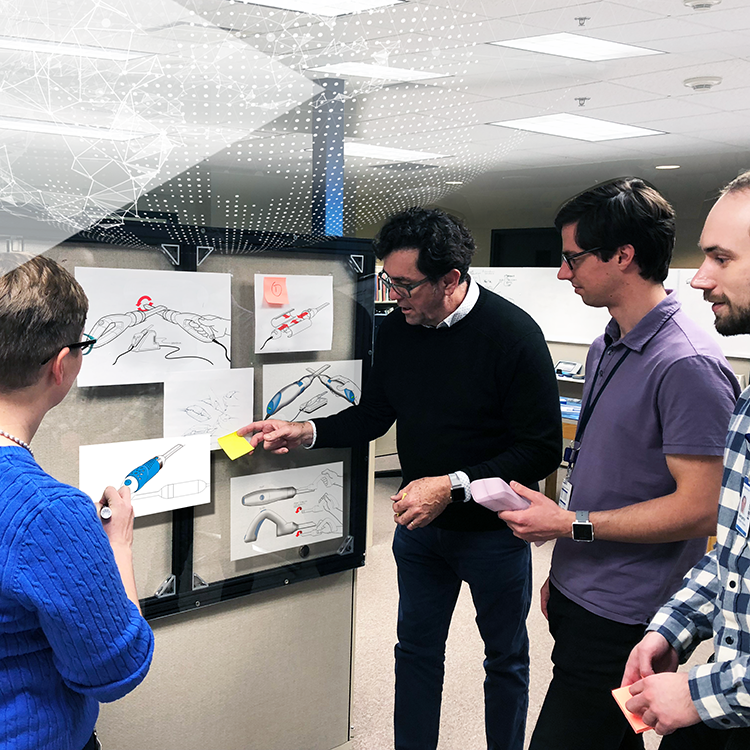 Benchmark facilitates innovation in the connected world through rapid prototyping, agile development and world-class manufacturing strategies. We develop custom IoT solutions for many industries including aerospace and defense, industrial and medical. 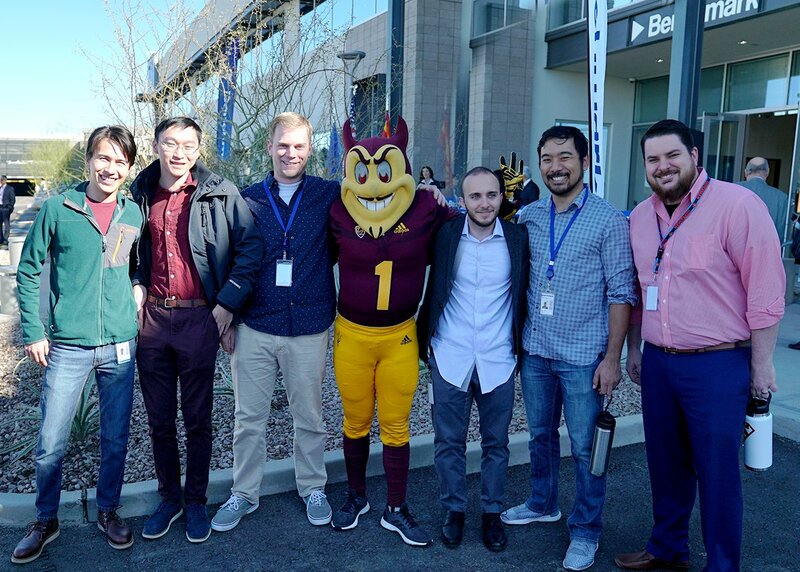 At our dedicated 30,000-square-foot RF High Speed Design Center of Innovation in Tempe, Arizona, we are developing world-class RF and high-speed solutions including groundbreaking LCP manufacturing techniques. We are enabling lower costs and accelerated development by uniting designers, manufacturers and testers into one cohesive group. Experience, knowledge and key facilities in the U.S. and Mexico make Benchmark a leader in the development of RF components. Applications of our solutions are seen in major digital and analog equipment used by the military, medical facilities and other markets that demand high reliability from communication devices. With more than 35 years of experience in developing solutions for the medical market, Benchmark is well-equipped to exceed quality and compliance standards. From IoT to IVD, Benchmark’s capabilities cover a wide range of medical device applications. Benchmark takes an in-depth approach to manufacturing test to ensure every product detail is acceptable for the manufacturing environment by applying Design for Excellence principles. Our experience, capabilities and manufacturing processes drive costs down and brings products to market faster. From RF components to full-system builds, Benchmark applies more than 20 years of experience to create solutions for the most dangerous and highly regulated environments. Whether we’re building a military or smart city application, our threat detection and surveillance capabilities are among the most advanced and forward-thinking on the market. In situations where products cannot fail, Benchmark’s proven track record for high-quality ruggedization tops the marketplace. From initial design to retrofitting for harsh environments, our capabilities can be applied during any step of the product development process. Among Benchmark’s core competencies in design, engineering, manufacturing and test, defense solutions stand out as one of our premier areas of expertise. From initial design to manufacturing and production, Benchmark’s defense services team delivers solutions tailored to meet and exceed our customers' specific needs. Benchmark accelerates even the most high-complexity mechatronics projects by developing and industrializing high-performance mechatronic systems ready for mass production. Our commitment to excellence is backed by advanced testing procedures that accounts for every detail, major to minor. Benchmark’s investments in forward-thinking, technology building blocks such IoT and RF allow us to push human machine integration forward. We rapidly create high-quality, innovative human machine interface solutions through a blend of user experience, hardware and software engineering capabilities. By applying an integrated approach consisting of design, engineering, manufacturing and test capabilities, Benchmark excels at delivering embedded electronics solutions that exceed performance, reliability, cost and time to market standards. Our unique expertise with a diverse range of applications allows us to seamlessly deliver turnkey services. IoT and automation are driving the acceleration of the robotics industry. Benchmark’s expertise in these technologies allows us to offer a full range of services for the robotics market. From motion control, to navigation, IoT connectivity and visual recognition, we combine the right technologies to culminate in value-added and cost-conscious solutions. Benchmark services OEMs through a range of advanced innovation capabilities.